Here at Appalachian Animal Hospital we are dedicated to providing the best care possible for your entire animal family. 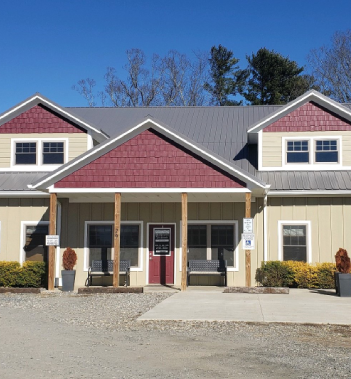 When you visit our newly constructed clinic in Weaverville, we want you to feel like you are visiting friends. We strive to make your companion animals feel comfortable and safe while receiving complete and compassionate care. Stop in for a tour and a treat; we always have time to make new friends and catch up with our old ones. With many years of combined experience, our veterinarians are dedicated to providing the highest quality of care, ensuring safety and your pet's best interests come first. You may have heard of us before...we have been in the area for over 30 years taking care of animals in the comfort of their own homes! In February of 2017 we opened the doors to our custom-built animal hospital, where we also offer Play-cations; a boarding and daycare facility, and provide haul-in services for horses and other farm animals. From sick or injured animals to those needing routine dental care and surgeries, we are here to provide for all of your pets’ healthcare needs. For our equine clients, we have three mobile units on the road providing the same quality care your horses have always enjoyed through us. We also care for small ruminants, camelids and cattle on your farm (or at the office if they can fit through the door!). We are here to help, and to always try and make things better, please reach out with any questions or just to say hello!